Toast the windy city with this Friday cocktail, Chicago! This brandy-based cocktail dates back to the late 19th century when so many mixed drinks named for cities were created. Just think of Manhattans! Recipes may vary, but the original and majority of them call for Curaçao, an orange-flavored liqueur. Sometimes the sugar is replaced with added champagne, presumably to float on top. This sophisticated cocktail may make you think of smoke-filled speakeasies and mobsters. It makes for an excellent after dinner drink or night cap. What you’ll need: Brandy, Curaçao, and bitters. Wet the edge of your cocktail glass or brandy snifter with lemon juice and coat with sugar. In a shaker over cracked ice, pour in 2 1/2 ounces of your brandy of choice. Add in a couple dashes of bitters, and then add a teaspoon of Curaçao. Stir a bit. Carefully pour into your glass and serve. How I like it: At room temperature. It’s simpler to just add the ingredients to your sugar-frosted glass, stir, and then enjoy. The difficulty is the Curaçao. The most readily available kind is Blue Curaçao, but this cocktail is not meant to have the blue coloring added. Triple Sec is often considered a comparable substitute, but for this cocktail, I might suggest Grand Marnier, an orange-flavored cognac. It pairs well with brandy, but might make the drink too strong for some. Use a favorite brandy for this one, but only use a flavored one, like apple or apricot, for a little flair if your taste buds prefer. 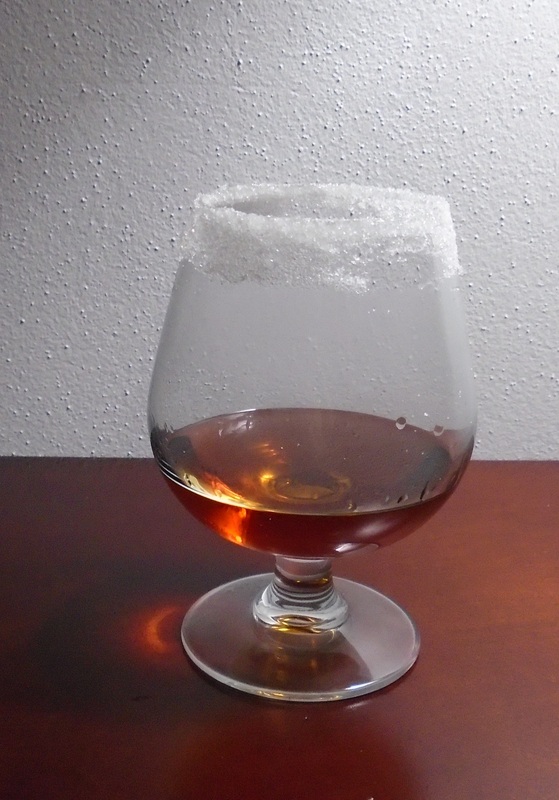 I like this one – and also like the idea of using Grand Marnier (as I have that). I’ll have to see if I have a flavored brandy – I’m going to try this one. Sorry I missed your mystery night – just too much going on!